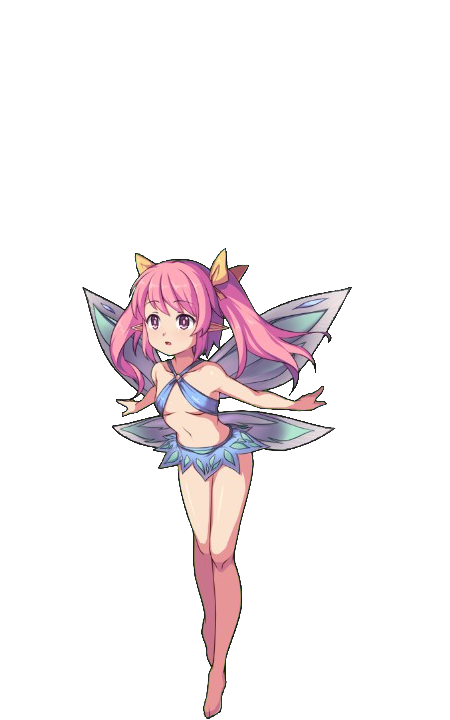 Ribbon is a fairy that Erina runs into as she is trying to help her friends, Pixie and Lili. She is very tiny but does not like to be called as such. She considers Erina to be her friend/family/master and follows her around on her journey. Ribbon is originally from the forest and enjoys her unrestricted use of magic during her travels with Erina. 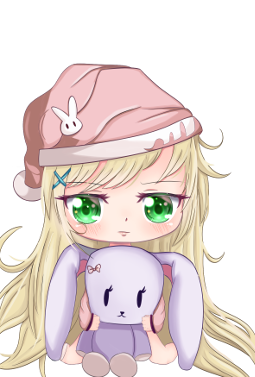 Being the youngest in her group of friends, she earned the nickname of “Ribi”. Only her fairy friends are allowed to use that name, though.